Residing in Saipan, we informing that we have SSS Saipan branch with their full location address and hotline numbers listed below. 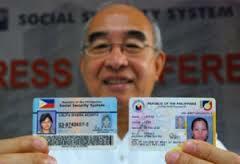 For inquiry regarding of death and maternity benefits, how to pay your sss premium contribution and soon. You can view also the map guide for convenient way on how to reach the exact location of SSS branch in Saipan. Come and visit our branch here. This entry was posted in Branches and tagged branches abroad, sss abroad, sss hotline, sss office, sss saipan branch. Bookmark the permalink.